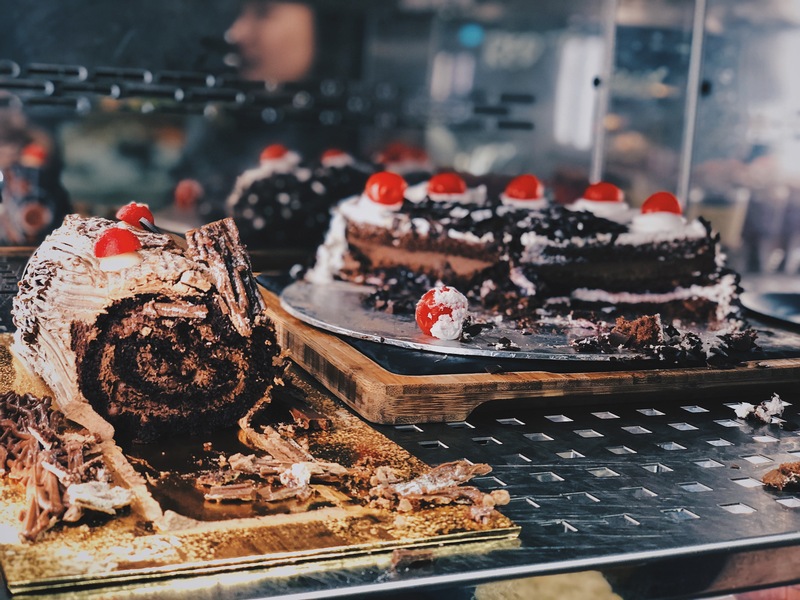 Christmas season is upon us, which means that we’re most likely going to drop the diets we never really got on board with and indulge in some good ol’ Christmas food. That’s right — from log cake to potatoes to roast hams, few foods make us feel more warm and fuzzy inside. 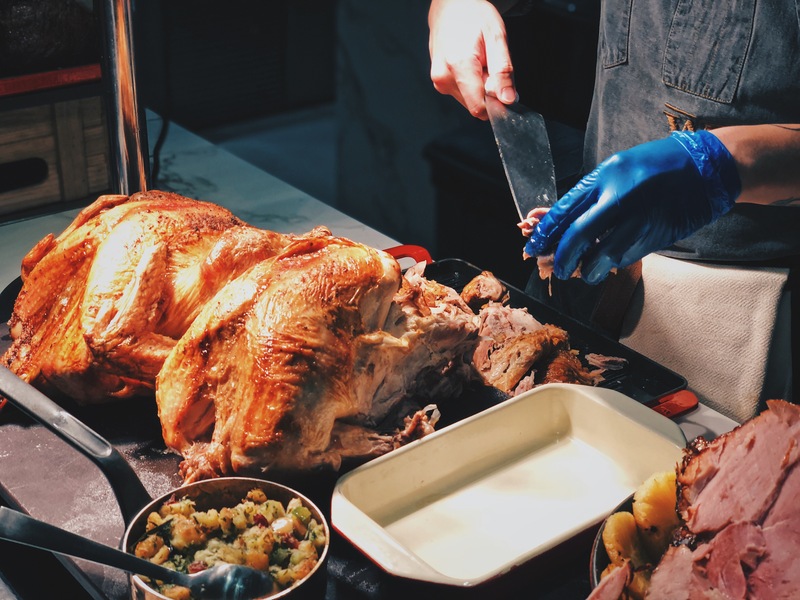 Not everyone can cook a turkey without the risk of setting their kitchens on fire, though, and that’s where Novotel Singapore on Stevens and Mercure Singapore On Stevens comes in. 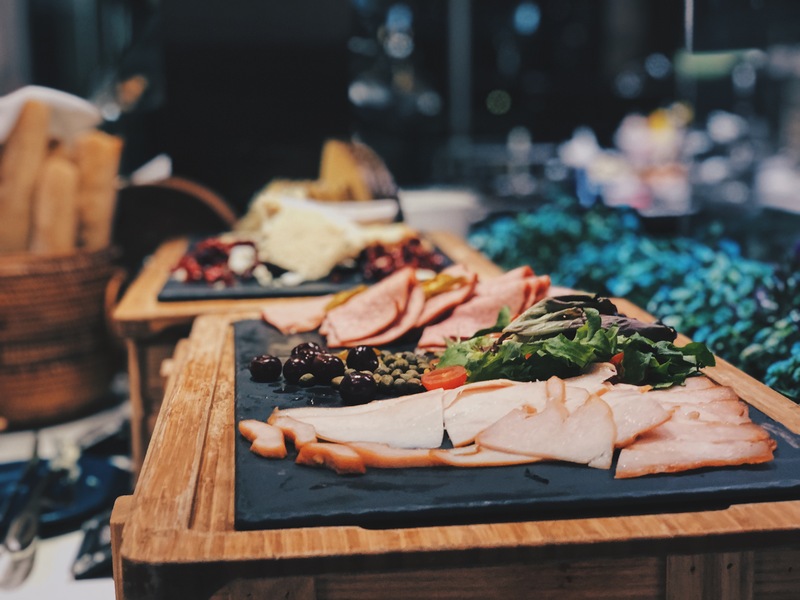 For a fuss-free Christmas meal, the Food Exchange Festive Buffet at Novotel Singapore On Stevens might be worth checking out. 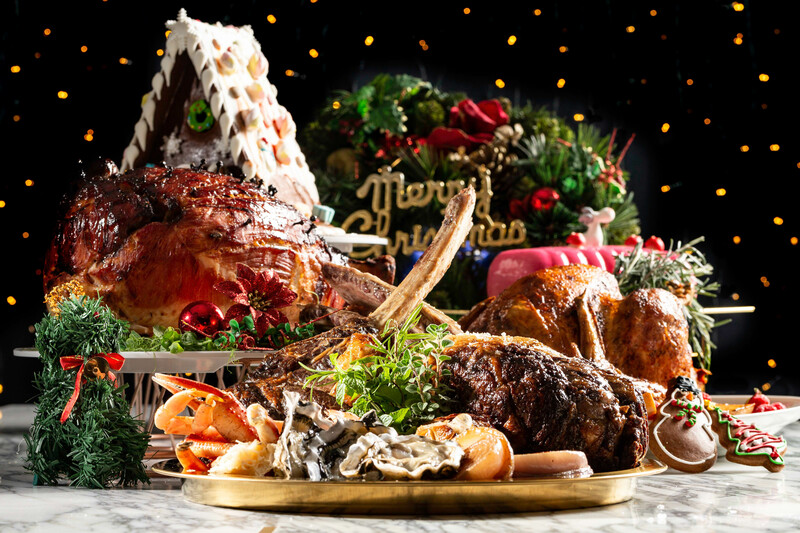 Available for both lunch (12pm-2:30pm) and dinner (6pm-10pm), this seasonal special adds several Christmas classics on top of the hotel’s existing international buffet. Before we get into the festive stuff, however, special mention needs to be made for the “international” part. 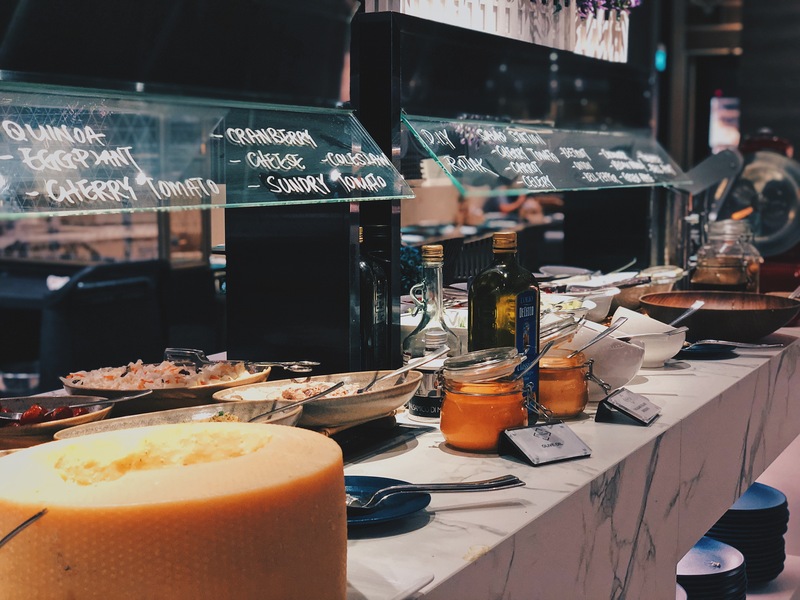 I’ve been to my fair share of international buffets, but the one at Novotel Singapore on Stevens really is as varied as it gets. 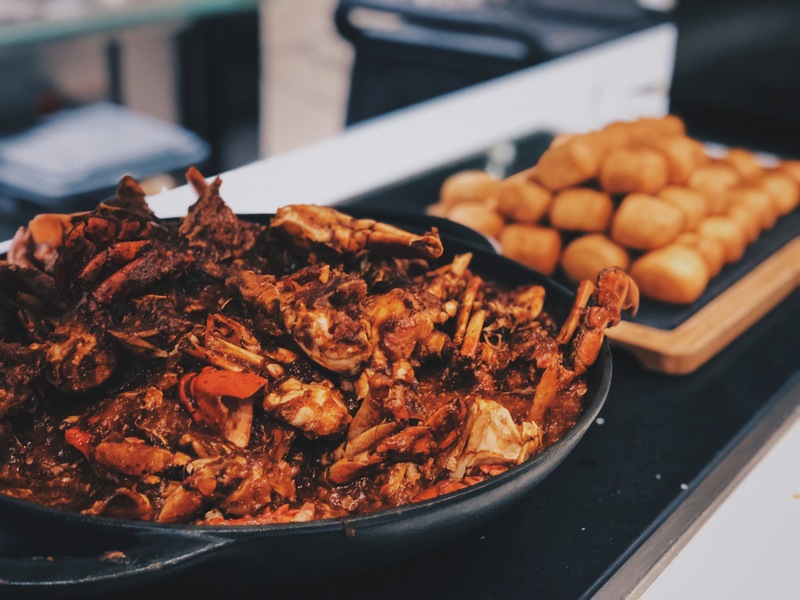 From local delicacies like popiah and chilli crab (mantou‘s included, of course) to international offerings such as sushi and seafood, this buffet has all that and more. 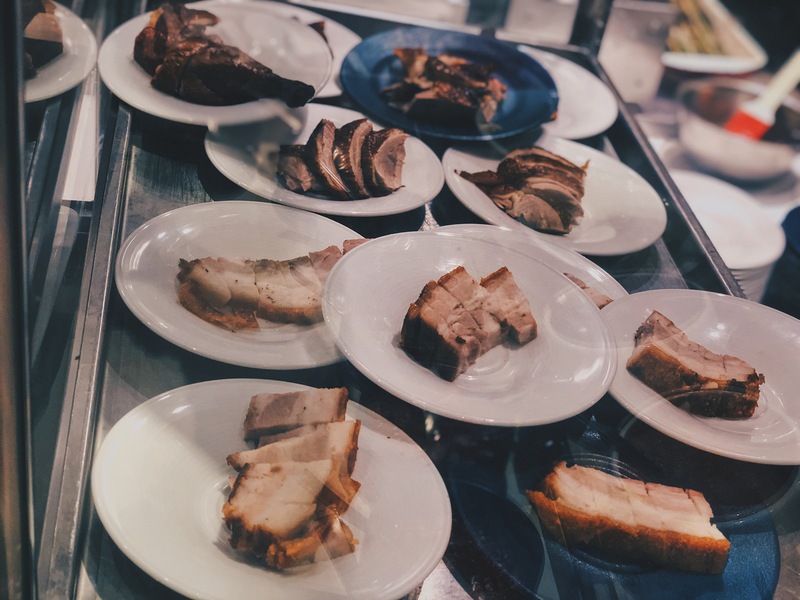 I’d highly recommend not eating anything beforehand, because you’re going to need one big appetite to sample everything that’s available. 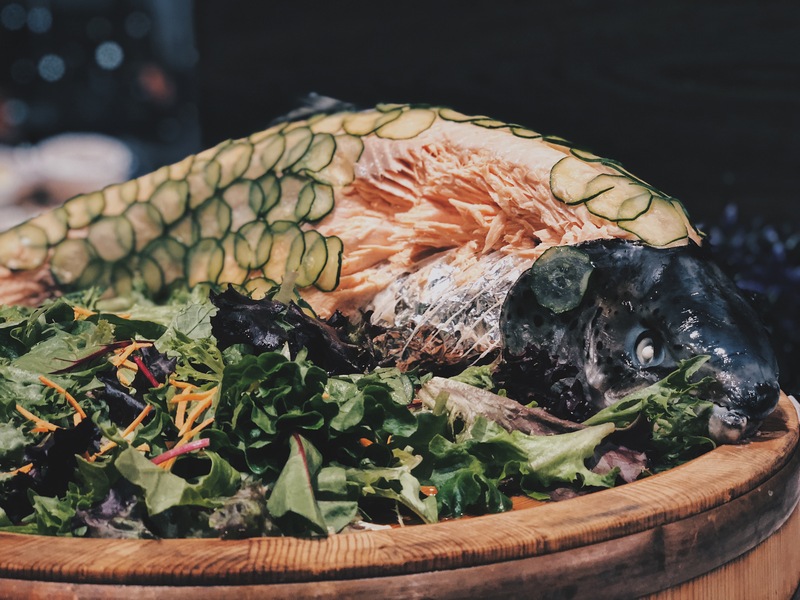 On the festive side of things, you can look forward to Gravlax (a Scandinavian salmon-based appetiser), Honey Studded Ham, and — of course — Roast Turkey. 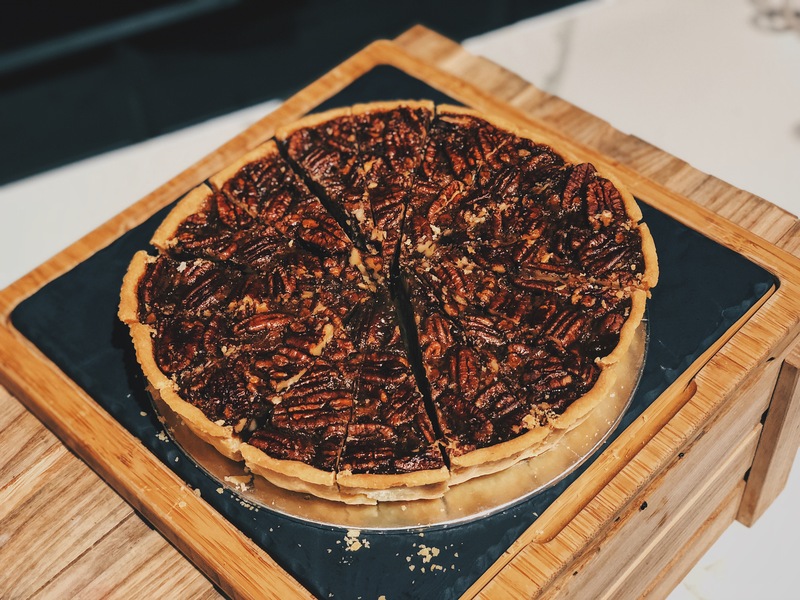 Throw in an equally-diverse selection of desserts that include log cake, lemon meringue and pecan pie, and you’re pretty much guaranteed to eat your way into the Christmas mood. 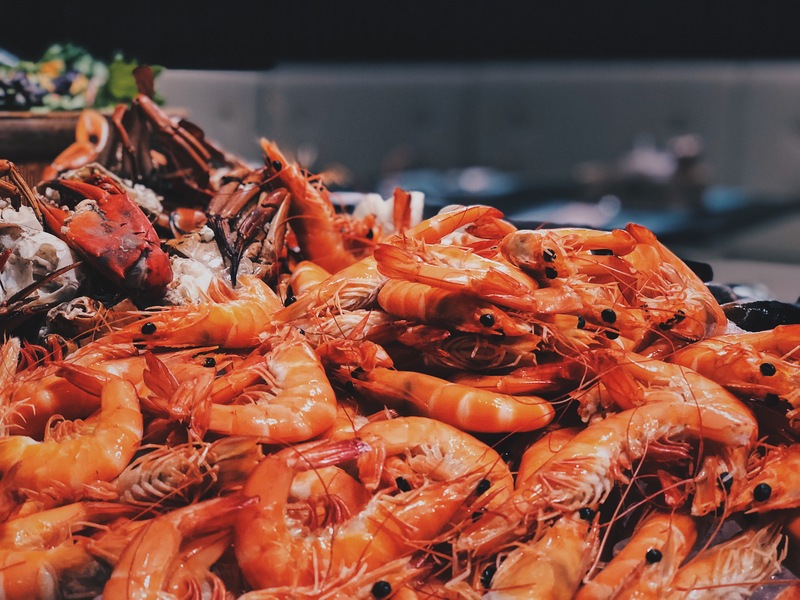 At this point you might be thinking that all this must come at a premium price, but the Food Exchange Festive Buffet is actually quite affordable. Lunch on weekdays and Saturday cost $42++ and $52++ respectively, while a dinner session on both weekdays and weekends goes for $68++. As far as buffet prices go (hotel ones, no less), that’s a pretty fair price when you consider the spread you’re getting. 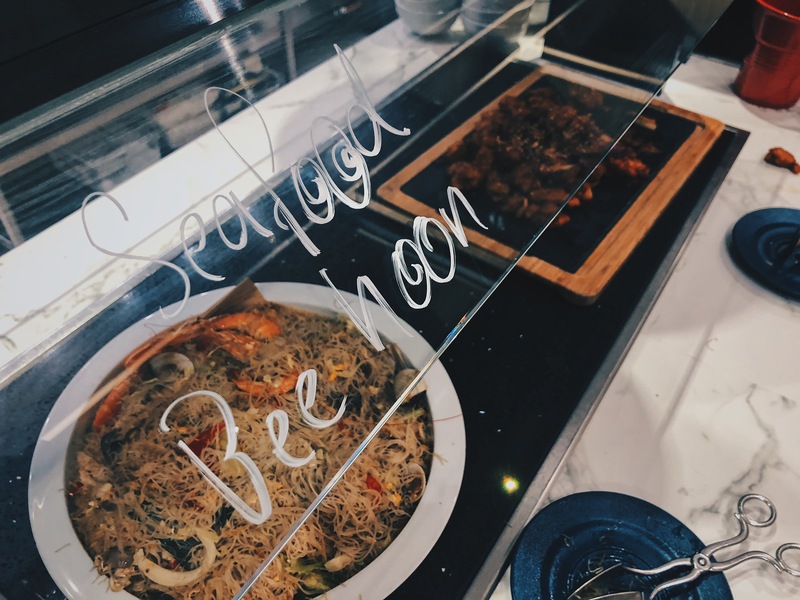 If you’re planning on staying in to get away from the Christmas crowds, you’ll be glad to know that Mercure Singapore On Stevens offers takeaway options as well. Traditionalists can spring for the Traditional Roast Turkey (6kg, $128), Honey Studded Gammon Ham (7kg, $88) or Australian Roast Ribeye Beef (5kg, $98), but I’d personally recommend getting the Salmon Coulibiac (2kg, $98). 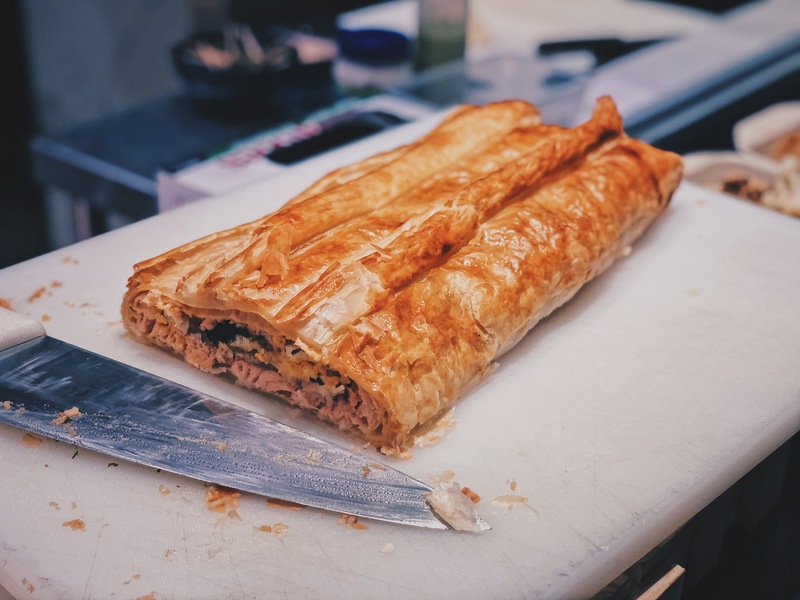 A French dish that has Salmon (duh), eggs and mashed potatoes wrapped in a crispy pastry crust, this is pretty much a complete meal in every bite. Bring this to any Christmas pot luck (or keep the whole thing for yourself, we won’t judge), and you’re sure to be the MVP of the party. You can opt to collect your treats at Mercure Singapore On Steven’s Fudebar, or have it delivered right to your doorstep for $30. Complimentary delivery is available for orders over $200, so it might want to order more than one dish to be eligible for that (you can never have too much Christmas food, after all). 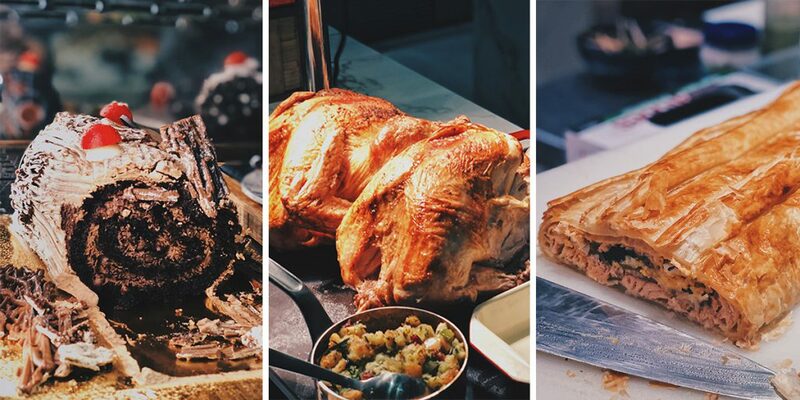 Whether you’re looking for an indulgent night out or planning an intimate xmas party, it looks like Novotel Singapore on Stevens and Mercure Singapore On Stevens have got your food needs covered this Christmas season. Even if you can cook a turkey without setting your kitchen on fire, making your own food can be a messy affair…so why not treat yo’self a little this festive season?